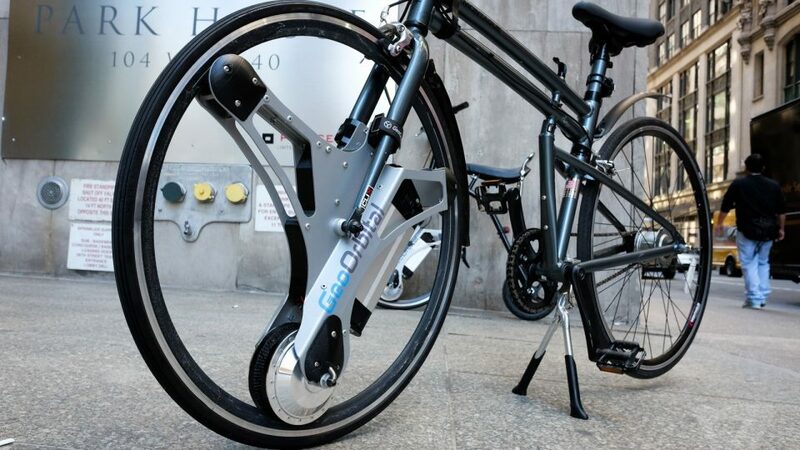 Make any bicycle an electric bike in 60 seconds simply by replacing the front wheel with ‘GeoOrbital,’ a gadget made by a team of engineers from SpaceX and Ford. Available in two sizes to fit 95% of all adult sized bicycles, the GeoOrbital is the simplest electric conversion kit yet, letting you keep that comfy bike you love while adding speed and power for faster commuting. 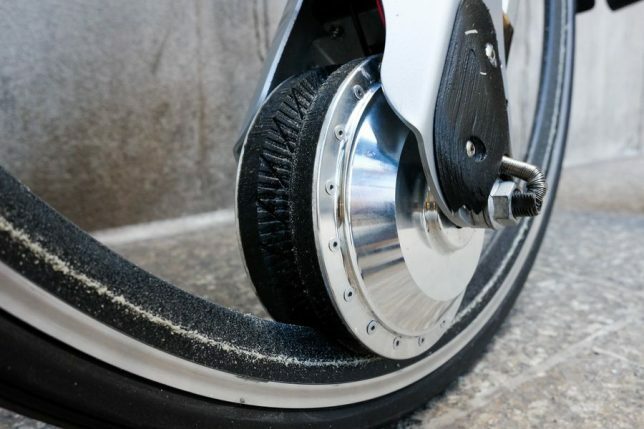 Just snap off the front wheel of any bike, install the electric wheel in its place and you’re good to go. Creator Michael Burtov says he got the idea while watching the science fiction film Tron. The glowing rims of the motorcycles in that movie are empty inside, representing what Burtov saw as a whole lot of wasted space. What could be put there instead? 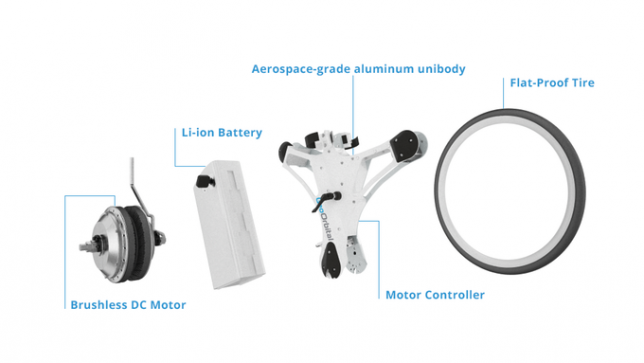 As it turns out, his answer is a futuristic spin on the orbital wheel, with an aerospace-grade aluminum unibody, a brushless DC motor, a Li-ion battery and a flat-proof tire. 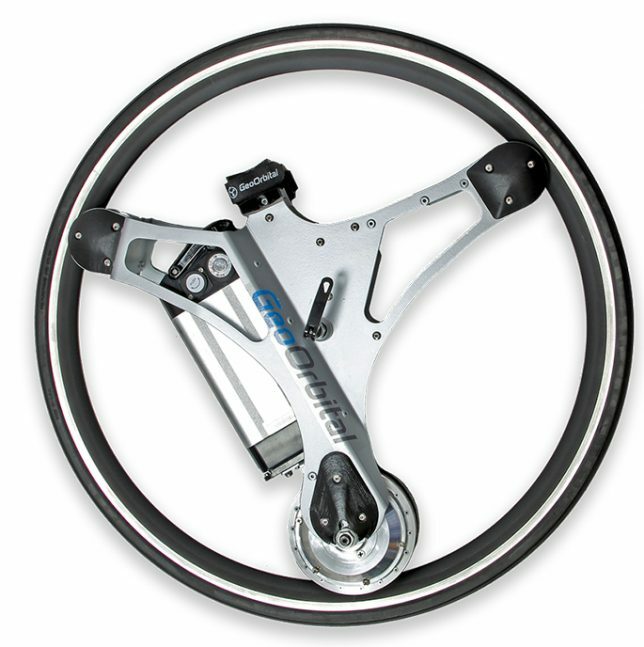 No tools are needed to install it, and everything you need to power your bike is included in the wheel. That means when you go to lock up your bike, you can take the GeoOrbital with you for security and peace of mind. It’s been tested on hundreds of bikes in all different styles, even vintage models from the ‘60s and ‘70s, and is available in 26-inch or 700C (28 and 29-inch) sizes. 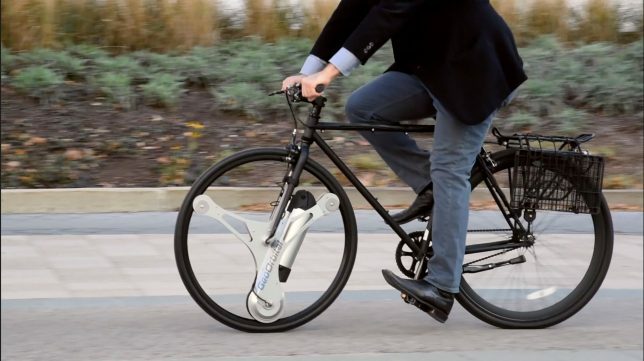 It takes 3-4 hours to recharge, features built-in regenerative braking and reaches up to 20 miles per hour without pedaling. When pedaling, you can hit 30mph on the 26-inch and an incredible 50mph on the 700C. The only part of the GeoOrbital that isn’t built into the wheel is the thumb-activated throttle, which you clip onto your handlebar. Boost yourself up hills or accelerate past clogged traffic when you want the power, or turn it off and pedal when you don’t. 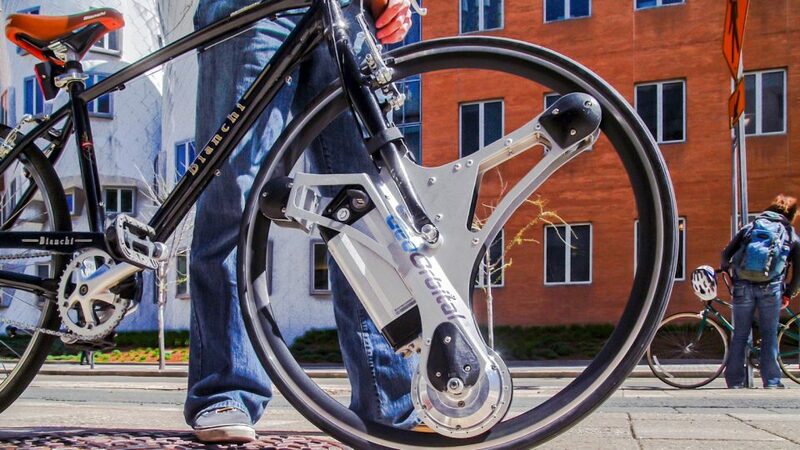 The wheel charges via USB, and when you’re riding, you can use the outlet to charge a phone or power a speaker. After a wildly successful Kickstarter, the GeoOrbital is now available for pre-order to the public for $799.99, $150 off the retail price, with expected delivery in February 2017.